The Deep Space Network first existed as just a few small antennas as part of the Deep Space Instrumentation Facility. That facility, originally operated by the U.S. Army in the 1950s, morphed into the Deep Space Network on Dec. 24, 1963, and quickly became the de facto network for missions into deep space. During its first year of operation, the network communicated with three spacecraft – Mariner 2, IMP-A and Atlas Centaur 2. 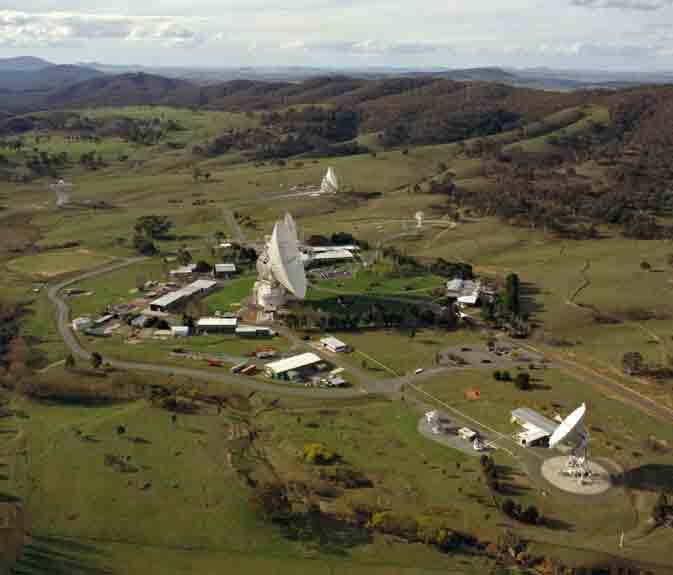 Today, it communicates with 33 via three antenna complexes in Goldstone, Calif.; near Madrid, Spain; and near Canberra, Australia, maintaining round-the-clock coverage of the solar system. During the past 50 years, antennas of the Deep Space Network have communicated with most of the missions that have gone to the moon and far into deep space. The highlights include relaying the moment when astronaut Neil Armstrong stepped onto the surface of the moon in a “giant leap for mankind”; transmitting data from numerous encounters with the outer planets of our solar system; communicating images taken by rovers exploring Mars; and relaying the data confirming that NASA’s Voyager 1 spacecraft had entered interstellar space. Space agencies in Europe, Japan and Russia have also relied on the Deep Space Network when planning and communicating with their own missions over the decades. The Deep Space Network has been used recently by India’s first interplanetary probe, the Mars Orbiter Mission. Full news release, video, slideshow and more at: http://www.jpl.nasa.gov/dsn50/ .